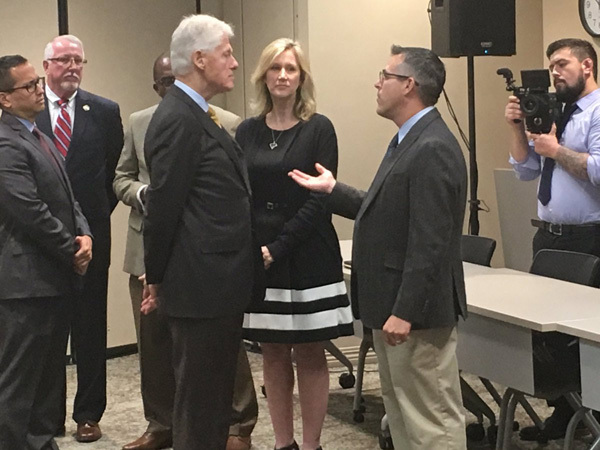 When UF Health Jacksonville’s Joseph Cammilleri, Pharm.D., was contacted about participating in an opioid-awareness event involving former President Bill Clinton, he didn’t think he would get the chance to speak with him directly. Not only did Cammilleri meet Clinton, he spent several minutes with him one-on-one, educating the 42nd president about the ongoing opioid epidemic and showing him how to use a naloxone nasal spray, which reverses the effects of an opioid overdose. Joseph Cammilleri, Pharm.D., speaks with former President Bill Clinton about the opioid crisis during Clinton’s visit to Northeast Florida. Clinton came to Northeast Florida on Oct. 31 to check on various Clinton Foundation health programs and initiatives, and the opioid crisis was among the issues addressed. 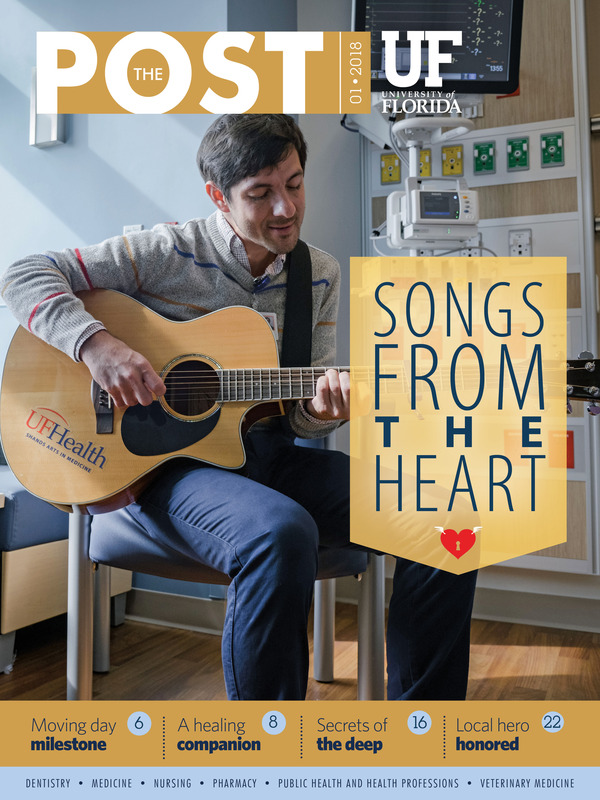 Cammilleri, an ambulatory care clinical pharmacist at UF Health Jacksonville and a clinical assistant professor with the UF College of Pharmacy, met Clinton that day as part of his role on a special heroin and opioid task force in Duval County. He was among a group who spent about 30 minutes talking with Clinton about the widespread abuse of drugs, both prescribed and illicit, used to relieve pain. Cammilleri emphasized the importance of provider and patient education, mentioning a few specific interactive programs that promote appropriate, safe and effective use of opioids to manage chronic pain. He told Clinton everyone should treat the opioid problem with the same seriousness as the HIV/AIDS epidemic in the 1980s. Clinton watched intently as Cammilleri showed him how the naloxone nasal spray functions. He said it’s something people should keep at home. Cammilleri said he was impressed by how engaging and personable Clinton was during the demonstration, which lasted about five minutes.